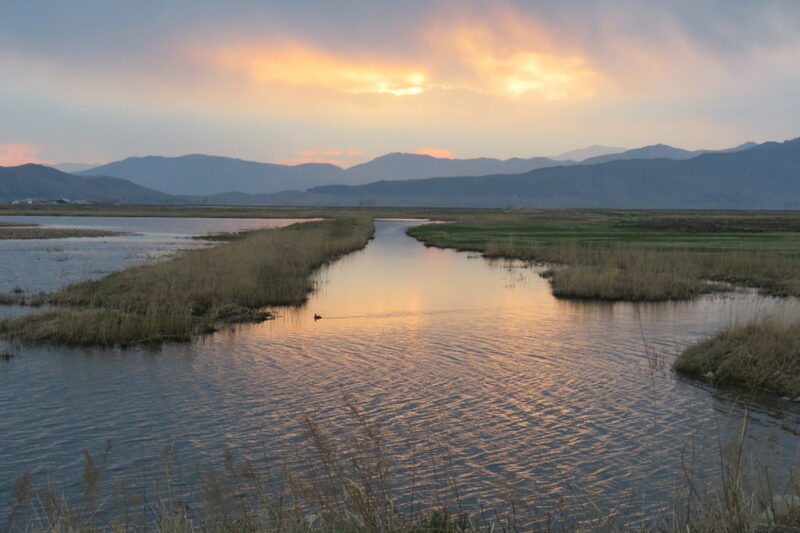 Even as the world shudders from one awful news item after another about missile launches and nuclear tests and retaliatory threats of fire and fury, steady progress for wetland conservation on the Korean Peninsula continues. These are efforts founded not in political ideology or in avoidance of reality but instead in the honest recognition of everyone’s shared dependence on natural resources and our shared humanity. They are efforts that hinge on the very real understanding that increasing cooperation between the DPRK (North Korea) and the rest of the region through existing international conservation structures could and should provide long-term benefits for people and biodiversity throughout East Asia. And that the need for green diplomacy here on the Korean Peninsula is perhaps greater now than anywhere else in the world – ever. 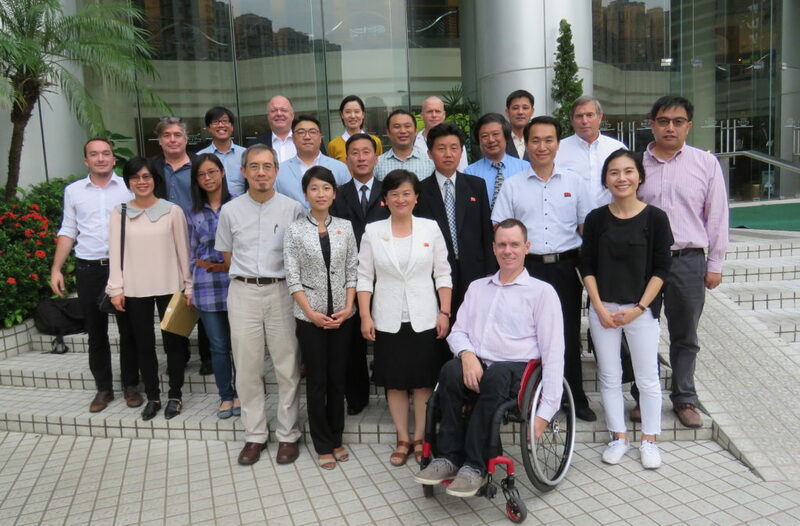 On September 14th, the Hanns Seidel Foundation (Korea) (HSF), which works for sustainable development through peace and democracy in 65 nations worldwide, and the Ramsar Convention Secretariat (represented by Dr Lew Young, Senior Advisor for Asia-Oceania) therefore hosted a workshop in Hong Kong attended by representatives from the Ministry of Land and Environment Protection (MoLEP) DPRK, WWF Hong Kong, the Hong Kong Birdwatching Society, Birds Korea (with our non-political mission the “conservation of birds and their habitats in Korea and the wider Yellow Sea Eco-region”; and my attendance kindly supported by HSF), BirdLife International, the Wildlife Conservation Society, The Nature Conservancy, Tsinghua University, Oxfam and the Ramsar Regional Centre East Asia. 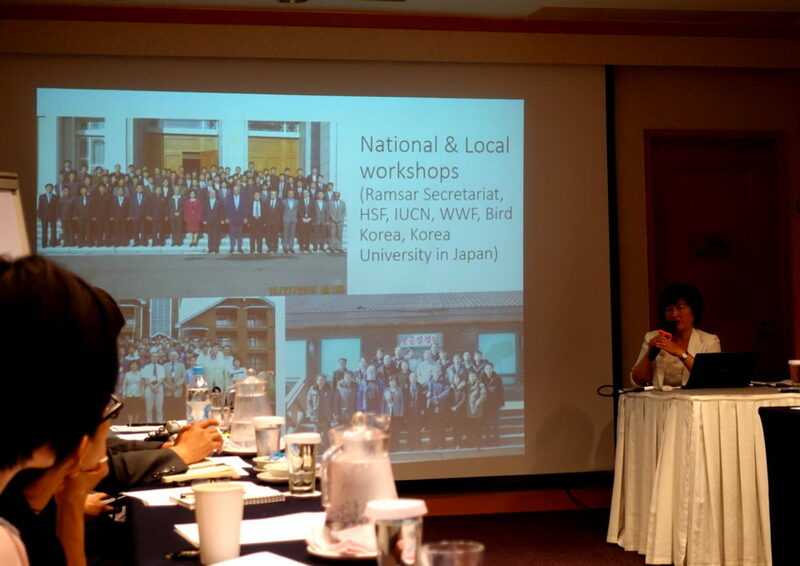 We were all there to discuss a program launched back in October 2015 by HSF, the Ramsar Convention Secretariat, several international organisations and MoLEP, aimed at improving wetland conservation opportunities in the DPRK. It is an ambitious and broad program. There are few resources available for such work within country and international funding agencies are increasingly reluctant to give their support. Yet, this program aims to help MoLEP revise their national wetland inventory (last published two decades ago); to improve awareness and quality of their Red List of threatened species; to facilitate joining of the IUCN and the East Asian-Australasian Flyway Partnership; and to support the DPRK’s formal accession to the intergovernmental Ramsar “wise use of wetlands” Convention through the provision of relevant literature and technical advice on e.g. completing Ramsar Information Sheets. Accession to Ramsar was something first mooted by the DPRK at least as far back as the 1990s (I even met several observers at the Brisbane Ramsar COP back in 1996, when I was still living in Japan). But for two decades there has been little if any progress. It is time wasted. Since the mid-1990s there has been continuing massive loss and degradation of flood-plain wetland in East Asia and of tidal-flats in the Yellow Sea. The conservation status of species like the Baer’s Pochard and Spoon-billed Sandpiper has worsened to Critically Endangered and recently more numerous species like the Great Knot and Far Eastern Curlew have declined from Least Concern to Endangered. These declines indicate the decline in natural productivity of some of the world’s most important wetlands, depended upon both by birds and by many local human communities. 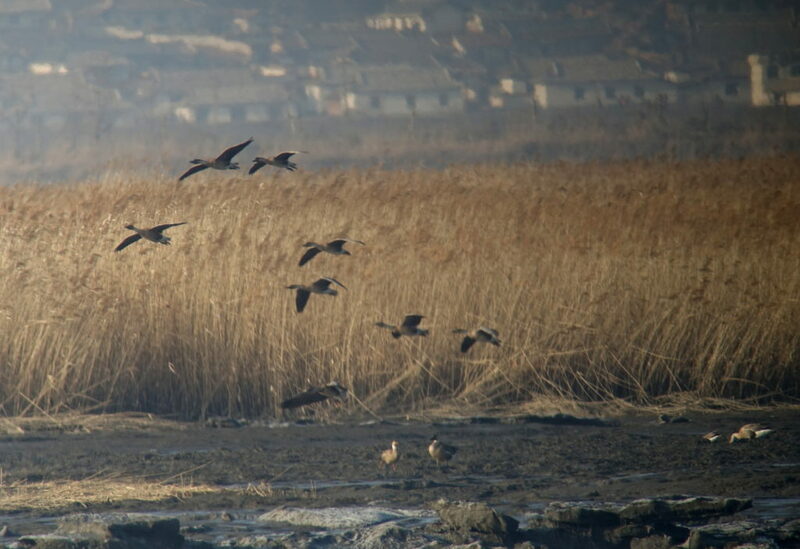 Accession to Ramsar by itself will not stop wetland loss and waterbird declines and falling productivity in the DPRK or anywhere else, of course. After all, in spite of substantial conservation progress the seawalls at Saemangeum, Namyang Bay, Asan Bay and a long list of other sites were all closed after the ROK’s accession back in 1997. But being a party to the Ramsar Convention will provide a non-controversial forum for exchange of best information; it will help MoLEP to elevate further the profile of wetlands and wetland biodiversity within-country; it will increase the possibility of regional agreement for conservation of transboundary wetlands and of migratory species; and it might even provide a positive story for media outside of Korea to tell, one that might help a few more people to understand more deeply that “Korean Lives Matter” too. As we learned during the workshop, much has been achieved since the wetland program started. In July this year MoLEP became a member of the IUCN. There have been several national workshops on wetlands and biodiversity conservation, and detailed discussions on wetland inventory. Plans are underway to include wetlands explicitly in national land-use plans and there is even a proposal (in need of funding) to build a wetland centre in Pyongyang. Also, several Ramsar handbooks have been translated and Ramsar Information Sheets are currently being prepared for Mundok and Sonbong Migratory Bird Reserves, both of which should become Ramsar sites once accession is achieved later this year or sometime in 2018. The names of both Mundok and Sonbong should already be somewhat familiar to Birds Koreans. The Mundok Migratory Bird Reserve on the West Coast was first highlighted on our website back in 2009 following a survey visit there by the Pukorokoro Miranda Naturalist’s Trust, and re-visited several times subsequently; and HSF and Birds Korea first surveyed the Sonbong Migratory Bird Reserve in Rason in March 2014 with UNESCAP and a team that included Chief Executive Spike Millington of the EAAFP (sadly soon retiring from that post), before conducting further surveys in July and November 2016 and April 2017. From this recent survey work, we now know that Mundok is one of the most extensive and intact estuaries remaining in East Asia (when seen from the air, it reminded me of Saemangeum before seawall closure). The estuary supports up to 30,000 globally Vulnerable Swan Geese during migration; there are recent sight-records of Asian Crested Ibis; and offshore islands support big breeding colonies of Chinese Egret and Black-faced Spoonbill. The lakes at Sonbong in Rason support tens of thousands of duck during migration; and a diverse freshwater-breeding avifauna. Adjacent habitats are also extremely birdy – and there are even claimed sightings of Amur Tiger crossing the Tumen River into Rason in search of food in winter. Currently, both wetlands are threatened by poorly-defined large-scale infrastructural development projects. Accession to Ramsar should help both of these sites to be conserved long-term and managed appropriately, for the benefit of people and biodiversity – in Korea and throughout the region. Much remains to be done – always – and the very real progress of the last few years could easily be reversed. Tensions on the Korean Peninsula and in Northeast Asia remain extraordinarily high. But is there anything more important that a small conservation organisation like Birds Korea (or a larger organisation like the HSF) can try to do than work in our own modest way towards peace, democracy and sustainable development through supporting conservation of some of Korea’s best remaining wetlands and biodiversity hotspots and by trying to increase understanding between people who share this Flyway?